Home Entertainment Find Out More About Sung Dong-il’s Beautiful Wife and Family! Sung Dong-il is a legendary actor who has starred in many famous Korean films and dramas. With his excellent and natural acting, he is always able to bring characters to life, regardless of what the character is like. Just seeing Sung Dong-il on the screen, made many people curious about the actor’s personal life. Turns out, that Sung Dong-il has a beautiful family. 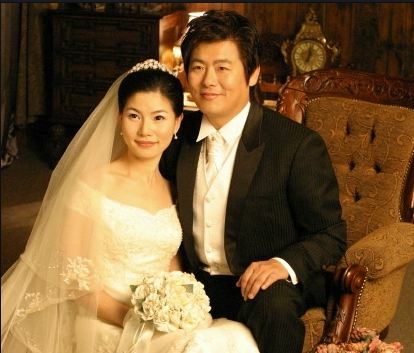 Starting with his marriage to Park Kyung-hee in 2003, this is Sung Dong-il’s family history. It was not Jung Il-hwa, who had been his longtime on-screen partner, that Sung Dong-il married in 2003, but Park Kyung-hee, who he had been dating for a while. Although he looks stiff, Sung Dong-il loves his wife and children very much. In an interview, Sung Dong-il said that Park Kyung-hye was the reason he worked hard to make sure she will live very well. Sung Dong-il once revealed that he was a child out of wedlock. His childhood is not a beautiful thing. So he wanted to do everything he can so that his family wouldn’t feel the way he did before. Despite the hard life he lived, Seong Dong-il was able to overcome those difficult times with his wife. Sung Dong-il once said, with tears on his eyes, in an episode of Dad! Where Are You Going? that he was very grateful to his wife. At that time, he tried to do business, but failed and got a big debt. And at the hardest moment of his life, he met his wife. But due to difficult circumstances, the two of them couldn’t afford a wedding celebration. Then, his sister told Sung that his wife was secretly washing dishes at the Pork Bone Soup restaurant to pay off debts. This made Sung Dong-il very sad, to know that his wife was working behind his back, he felt guilty toward his wife. Since then, he has worked harder as an actor to support his family. Sung Dong-il and Park Kyung-hye have three children, namely a son and two daughters. Their first child was born in 2006 and is named Sung Jun. He is a smart and handsome boy. Meanwhile, their second child, daughter Sung Bin, born in 2008, is a very active and charismatic girl. And the youngest, who is born in 2011, named Sung Eul, is a very cute and adorable girl. 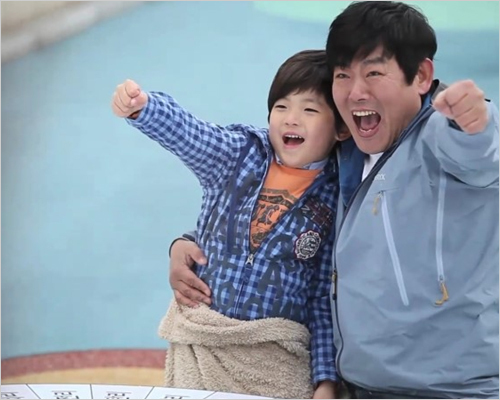 Sung Dong-il and his son, Sung Jun, participated in a family reality show Dad! Where Are You Going? Broadcasted on MBC, Sung Dong-il and Sung Jun’s participation in this reality show lasted from 2013 to 2015. This is a program featuring five celebrities and their children. The family takes a vacation in the countryside and all of them have to gain experience that will not be found in the city. They have heartwarming chemistry as a father and son and are among the most anticipated by viewers. However, in the next season, Sung Dong-il takes part again with his daughter, Sung Bin. Thanks to their popularity in Dad! Where Are You Going? Sung Dong-il and his children got offers to model for children’s products and to appear in several commercial films, such us Pizza Maru, Lemontree, Olleh, Home Plus, and more. Sung Jun also appeared as a cameo in the Reply 1994 drama, starring Sung Dong-il. Beside the reality program Dad! Where Are You Going? in 2017, Sung Dong-il returned to the family reality program with his children Sung Jun and Sung Bin in Change the Classes that was broadcasted on tvN. Sung Jun and Sung Bin surprised the audience with their grown-up appearances. Unlike the program when they were young, Sung Dong-il and other actors and their children visited several countries that had unique educational methods. Within a week they had to take part in the learning process there and discuss the curriculum. Although at first, it was difficult to follow, Sung Jun and Sung Bin who had a good understanding of foreign languages were finally able to adapt. Sung Dong-il’s lovely family is always well anticipated by the public. 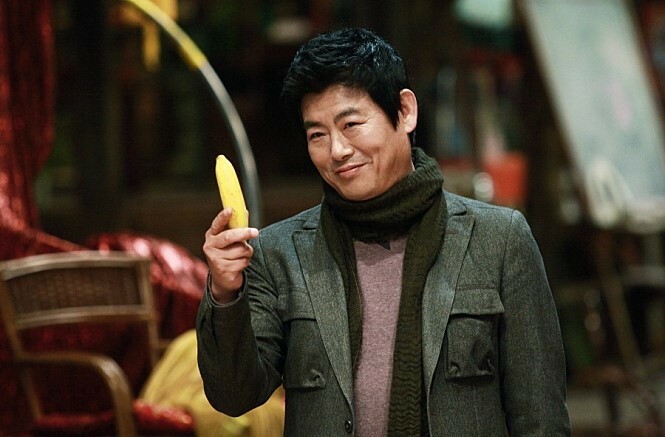 When people ask why Sung Dong-il always works hard in the dramas or movies he is starring in, he says, “I have a lot of things I want to give my children, so I have to work hard without mistakes, and I can not take more time to prepare for my wife’s aging.” He is always grateful to his wife who always looks after the family from behind.